$5.95 for 13oz at Goode Co.
A fresh tomato and vegetable character may sound appealing, but it leaves Goode Co.'s Original BBQ Sauce tasting like it's meant more for pasta than smoked meat. Houston has become a second home to me thanks to frequent trips to visit the in-laws there. While I'm usually able to coax out journeys to hill country institutions, the reality is that most the barbecue I eat while in Texas is Houston based, which equates to mean it's passable in a pinch, but by no means the best. Goode Co. barbecue has become my most visited joint by default due to its proximity to the house (although Gatlin's will be taking that honor in the future). I've been there so often that I thought it was time to give their sauce a review, and then realized once I had the bottle home, I don't think I've ever once put any sauce on the sausages or brisket that adorn my plate while there. The Goode Co. story gets its start at the spot I most often visit on Kirby, where, in 1977, Jim Goode and his uncle, Joe Dixie, spent their time building their barbecue and business. It didn't take long until the smoked meat sandwiches they were slinging gained word of mouth and popularity. The Goode Co. name then flourished into the large scale family-run business it is today, with three barbecue restaurants, two seafood restaurants, one taqueria, and an online store where you can buy barbecue, rubs, apparel, and your choice of three different sauces. This sauce starts off with a fresh tomato smell. It's garden fresh aroma has hint of garlic, slight sweetness, and a smokiness. It's worth noting that its smoky character doesn't have the harshness of liquid smoke that's most common, but instead, a smell that's more akin to actually being outside sitting next to a smoker slowly cooking beef. 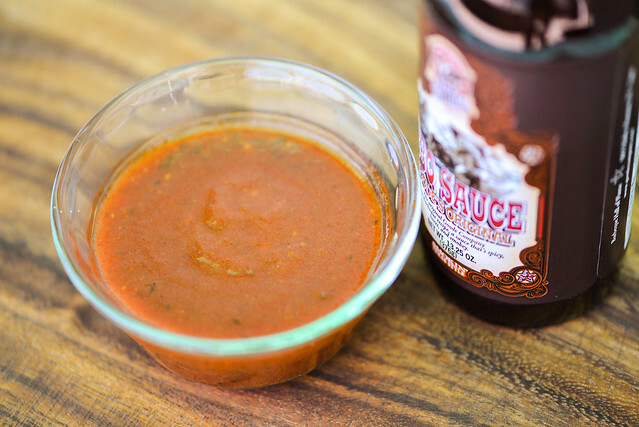 This sauce looks quite like a marinara—it has a bright orange-red color, mostly smooth with a bit of texture, and clearly visible specs of pepper and vegetables throughout. 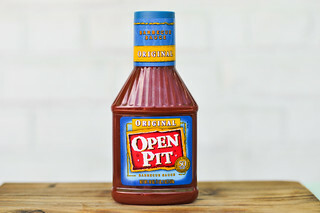 It's medium thin thickness that has a chunky pour from a spoon and leaves little sauce left clinging to the silverware. 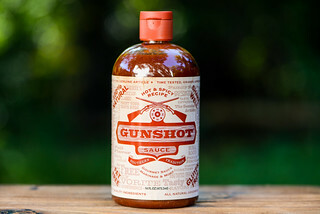 The sauce's flavor follows its looks, tasting more like a pasta sauce than barbecue sauce. 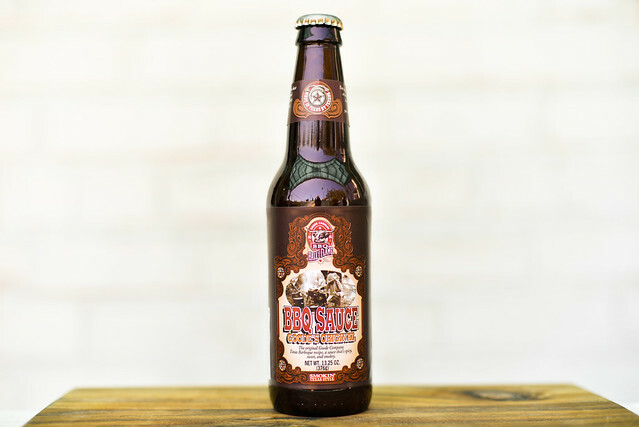 It has the bright fresh flavor of tomato with more natural acidity than vinegar tang. The little crisp chunks of veggies builds layers of onion and garlic onto the tomato base. The main differentiator between a marinara and barbecue sauce here is the sweetness, which leaves me equating the sauce to something along the lines of Spaghetti-O's, if they were homemade. 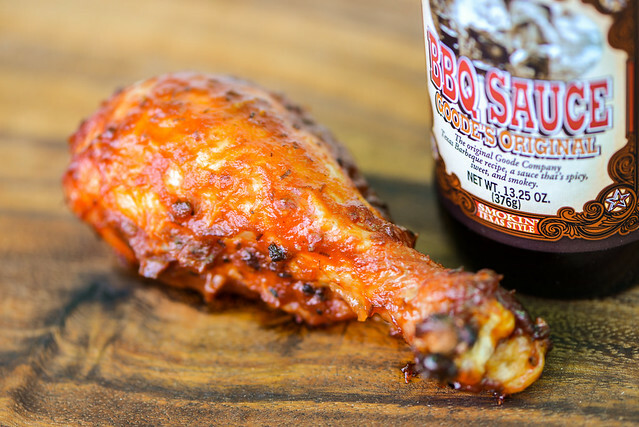 This sauce didn't fair too well on the grill, baking in alright, but then burning off over direct heat and requiring an extra brushing to have enough sauce on the chicken to properly judge it. That sauce's flavor was very light and distant against the chicken. It lost a lot of its freshness out the jar and turned more acrid and sour. The flavor was so minimized that I could taste the residual char the chicken picked up from the grill grate, which wasn't so great. After trying this sauce, I'm kind of happy I've never had to reach for it at the restaurant. 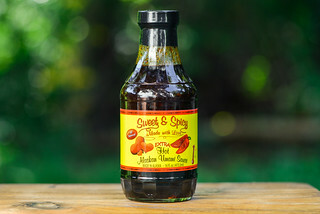 There isn't much barbecue character, having more in common with a sweetened marinara, which isn't what I personally would think of when wanted to slather smoked ribs, chicken, or beef in sauce. I also have to comment on the maddening idea of delivering this in a capped beer bottle—really, how am I supposed to close the sauce up for subsequent uses?!? I know the aesthetics are cool, but practicality is thrown out the window and it dinged the sauce down a level from the "4" I was originally going to give it. All-in-all, I think you can skip Goode Company's Original Sauce unless you really want a sauce that tastes like it would do better on pasta than barbecue.